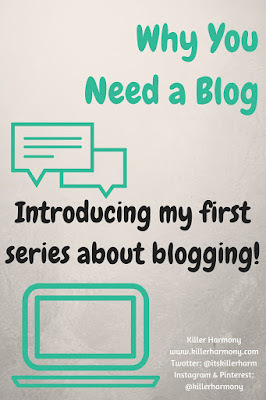 Why do you need a blog? What is so cool about blogging that makes it something that everyone should do or have? Well my friends, you need a blog. It doesn’t have to be your main squeeze or even to make you any money at all. But you need one. Why? Because it is your online presence. It is how people will see you when they put your name into Google. It can be a resume, a portfolio, a way to get your name out there. It is a place to send people when you are looking for jobs. I’m telling you this as a friend. You don’t need to have all of the bells and whistles attached, but you need some sort of online presence aside from your Facebook, Twitter, or Instagram profile. A blog gives you more of a voice than that. You can’t say much in a 140 character tweet, but you sure can say something in a blog post. Your blog shows that you are a good project manager, and for any job, that is a good thing. Sure, the need for a blog is more apparent for some careers namely: writer, graphic designer, photographer, web developer, and so on. But your site doesn’t have to be a blog. It can be a static (unchanging) website where the homepage has your bio and then you have another page with your portfolio or services. If your dream is to be a musician or a film director, you can embed YouTube videos in your blog or just cut to the chase with a YouTube channel. If you want to be a teacher, you can publish example lesson plans or even a video of your teaching. It is for that simple reason (to give myself a platform to launch my career) that I started a blog in the first place (little did I know that it would become as big a passion as music). 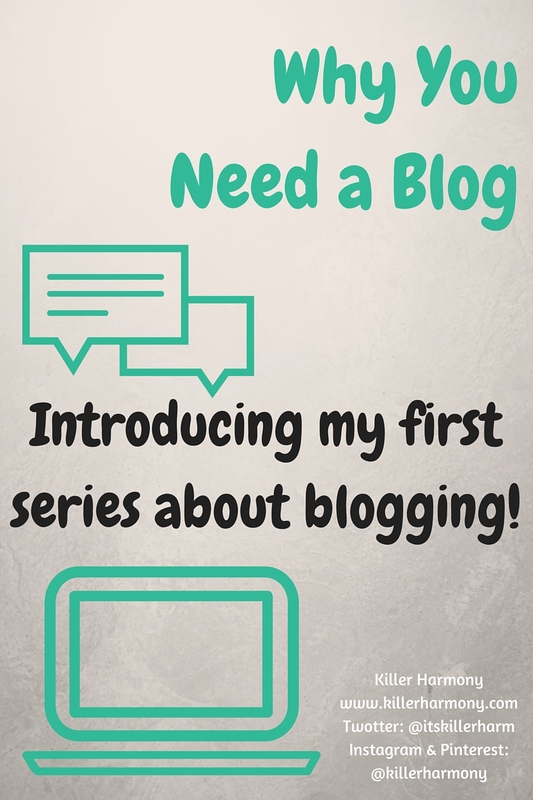 Starting this coming Monday (1/25), I will be launching a series of posts on starting your own blog. I will not be covering topics such as how to monetize it, because I am still figuring it out. What I will cover is how to start your blog, my process on crafting a blog post, choosing the platform for you, scheduling posts, and the social media side of blogging. I will then be releasing an eBook for sale on my Etsy Shop by the end of February. The eBook will be covering the topics I put on the blog in more detail as well as a couple of extra topics!